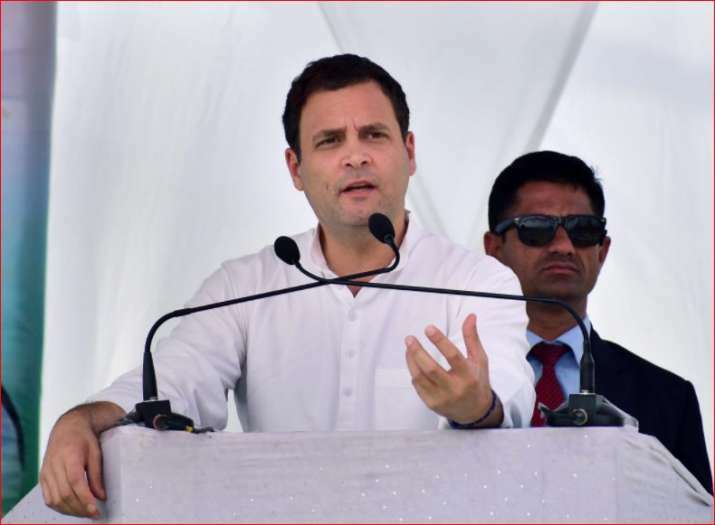 "Why ask for ideas when in your heart you know every Indian wants to hear you speak about Nirav Modi's Rs 22,000 crore loot and scoot and the Rs 58,000 crore Rafale scam," Rahul said. Congress President Rahul Gandhi on Wednesday again attacked Prime Minister Narendra Modi over his silence on the multi-crore Punjab National Bank (PNB) fraud and Rafale fighter jet deal, saying the country wants to hear about these issues in his 'Mann Ki Baat'. "Modiji, last month you ignored my suggestions for your 'Mann Ki Baat' monologue. Why ask for ideas when in your heart you know every Indian wants to hear you speak about Nirav Modi's Rs 22,000 crore loot and scoot and the Rs 58,000 crore Rafale scam. "I look forward to your sermon," Gandhi said in a tweet attaching a picture of Modi's tweet urging people to share ideas for his monthly radio programme 'Mann ki Baat'. On Tuesday too, Gandhi had attacked the Prime Minister during his election rally in Meghalaya. "I would like to request this Modi (the Prime Minister), on behalf of all of us, to bring back the other (Nirav) Modi when he goes on another of his many foreign trips. "We will all be very grateful as a nation to get our hard-earned money back," the Congress chief said. Gandhi also drew a comparison between the Prime Minister and Nirav Modi. "...Nirav Modi sold diamonds, which are the stuff he claims dreams are made of. In fact, one can say he sold dreams to many people, including the government which happily slept while (Nirav) Modi ran away with the public's hard-earned money. "A few years ago, another (Prime Minister) Modi also sold dreams to the people of India. Dreams of 'achche din', Rs 15 lakh in everyone's bank account, two crore jobs, and so on," the Congress leader said. Nirav Modi fled the country just before the scam -- in which he allegedly cheated the bank of over Rs 11,300 crore -- came to light. The ruling BJP and the Congress have been trading charges over who detected and acted against the fraud. Modi Ji, last month you ignored my suggestions for your Mann Ki Baat monologue. Why ask for ideas when in your heart you know what every Indian wants to hear you speak about? 2. The 58,000 Cr. RAFALE scam.